Founder Gene Sahr not only uttered these words, but he built a company around them that remains strong, even after 40 years. 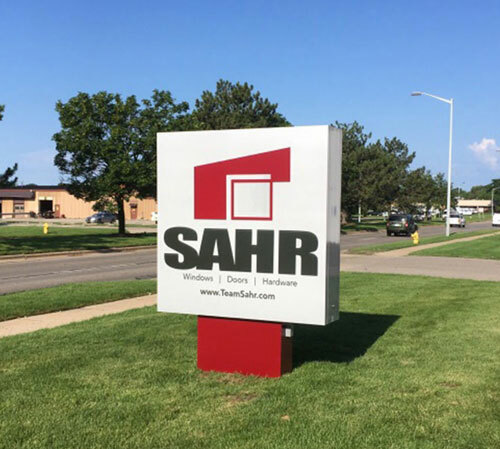 Founded in Kalamazoo in 1977, SAHR Building Supply remains one of the top resellers of quality windows, doors and hardware in West Michigan. We know first hand the struggles of sourcing good windows, doors and hardware at affordable prices when running a contract. We make it our goal to come alongside our clients and understand their specific needs, seeking the best solution possible while keeping costs down. SAHR Building Supply started out in the commercial market, sourcing high-quality products from reliable partners and working closely with contractors to ensure complete customer satisfaction. Clients took note of the expert advice and dependable customer support of our installation team, and we rose quickly through the ranks. Today, we operate out of two more locations in Grand Rapids and Lansing and partner with Allegion, Assa Abloy, Schlage, Von Duprin, Falcon and Corbin to bring the best commercial windows, doors and hardware to all of West Michigan. In 2017, we boldly entered the residential market, bringing high-quality windows, doors and hardware within reach of public consumers. Homeowners seeking innovative and good looking replacements or upgrades come to us for our design sensibility and installation expertise. Today, we partner with Lindsay, Therma-Tru, Integrity and Marvin to bring residential clients stylish and energy-efficient solutions throughout West Michigan. We offer a wide variety of services from new construction and replacements to custom designs, putting quality and customer satisfaction above all else. We offer wide variety of quality windows, doors, door hardware and access systems from our partners and pair them with professional installation know-how. Our installation team also works effectively both alongside contractors and independently. For more information about our windows, door and hardware services, please contact us here or call us directly at 855.724.7934.